Celebrate the Subtleties of Flowers! As my first blog entry, I’d like to introduce you to the idea of celebrating the subtleties of flowers–my personal philosophy on floral design. Celebrating the Subtleties of Flowers means designing with a purpose, tailoring designs to show the natural form of the flowers and the best part of the flowers being used, paying close attention to the details and proportionality and, most importantly, designing with the client and event in mind. Each client, venue and event has a distinct personality and feel. Flowers for your event should complement that–not take over. This does not mean that you can’t have big arrangements…big arrangements are always nice for creating depth in an event. It just means that it should have a purpose and it shouldn’t take away from the guest of honor (i.e. bride). Using touches of flowers in places you may not usually use them or expect, to add some more subtle design: Bathroom, around the napkins, little party favors of succulents on each plate, etc. These are just some examples. The main idea is that you should be the center of your wedding or event. 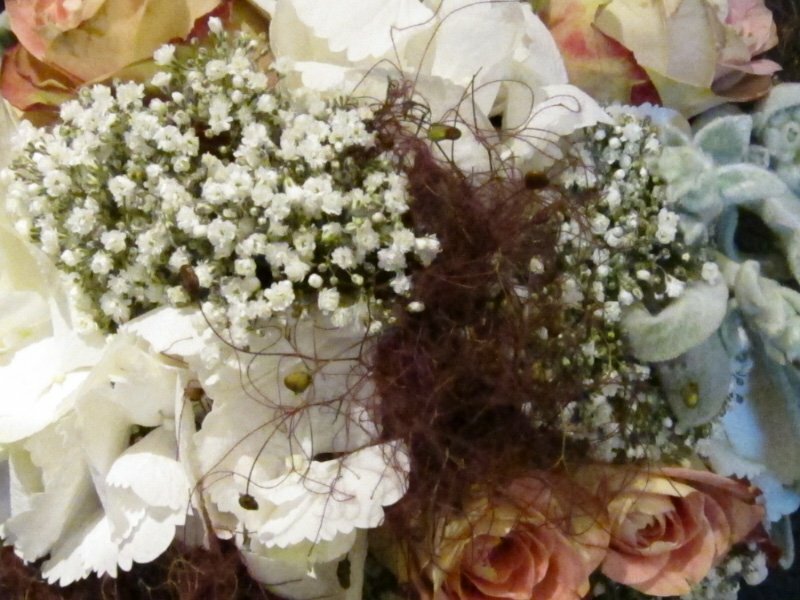 Flowers should be used to complement you, your style, and the way you want your guests to feel.